Scientists in the U.S., Spain, and Switzerland have identified a protein that could represent a new target for treatment-resistant and metastatic prostate cancer. Studies in genetically engineered mouse models (GEMM) and data from human prostate cancer patients indicate that administering drugs targeting the histone methyltransferase nuclear receptor binding SET domain protein 2 (NSD2) in combination with conventional prostate cancer treatments could boost effectiveness against advanced and metastatic disease. 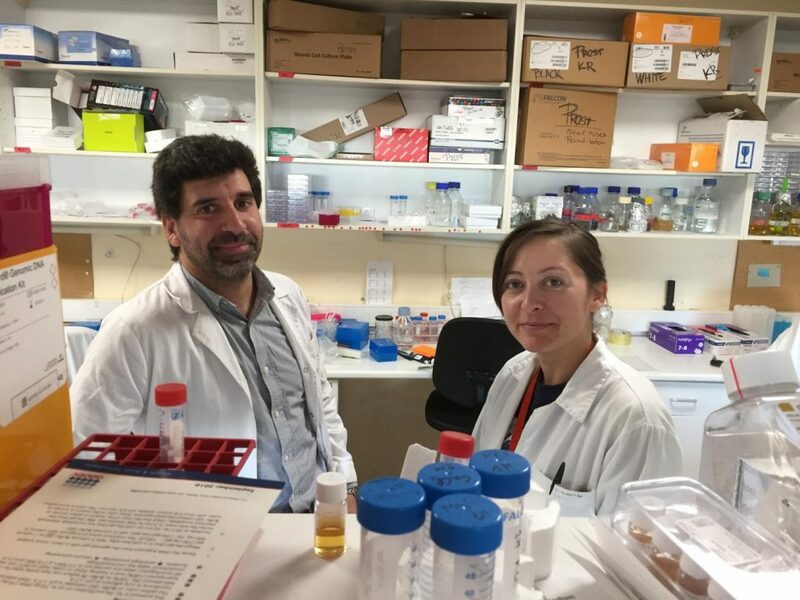 Álvaro Aytés, Ph.D., and Katia Ruggero, Ph.D., from the Bellvitge Biomedical Research Institute. Metastasis is a complex process that results in molecular changes in cancer cells, which ultimately enable them to escape the tumor and disseminate to distant sites. Scientists would ideally be able to study the biological processes and molecular mechanisms underlying metastatic progression as they occur in vivo. “However,” the authors pointed out, “ inherent challenges in accessing primary tumors and their metastases from cancer patients have made it difficult to study de novo metastasis formation.” One answer is to use GEMMs, which enable access to tumors and metastases as they develop in the model organisms. Nearly all prostate cancer deaths are due to metastases that are often resistant to treatment. While the five-year survival for patients with locally confined disease is more than 95%, for patients with metastatic prostate cancer five-year survival drops to less than 30%, the team commented. Advanced disease also becomes refractory to androgen deprivation therapy and develops into castration-resistant prostate cancer, which is very aggressive and prone to metastasis. Although studies have linked recurrent genomic changes with prostate cancer spread, identifying causal drivers of metastatic disease has been held back because of a lack of experimental models that make it possible to carry out biological and molecular analysis of metastasis as it occurs, in the context of the whole organism. Subsequent cross-species computational analyses comparing the mouse and human signatures highlighted the histone methyltransferase NSD2 as a conserved master regulator of metastasis progression. Interestingly, the researchers write, “NSD2 is a putative cofactor of androgen receptor that has been previously implicated in advanced prostate cancer …” Subsequent gene expression analyses confirmed that while NSD2 is expressed only in low levels in the non-metastatic prostate tumors in mice, its expression is elevated in metastatic tumors and their metastases. 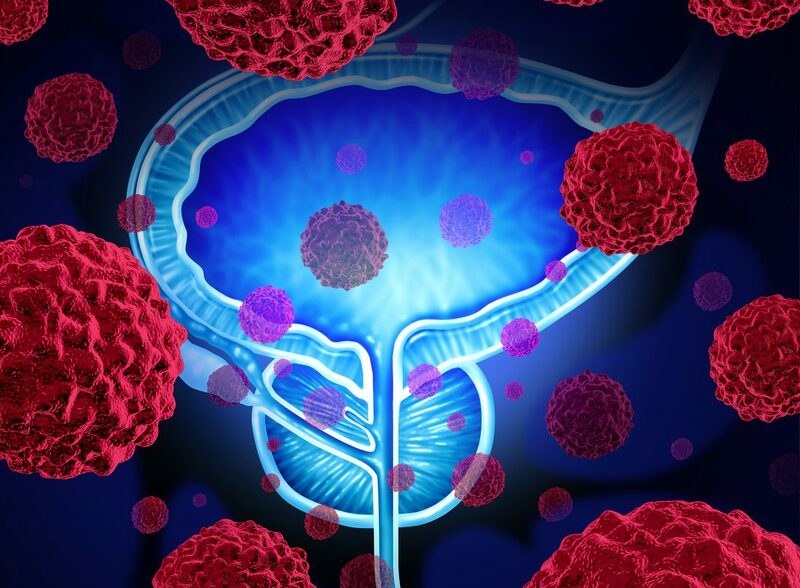 Evaluation of data on human prostate cancers and direct examination of primary and metastatic tumors also found that NSD2 expression increased during cancer progression at both the mRNA and protein levels, and was much higher in more advanced compared with earlier stage prostate primary tumors. The study findings indicate that combining NSD2 inhibitors with inhibition of other targets, including PI-3 kinase, androgen receptor, the histone methyltransferase component EZH2, and/or DNA repair mechanisms, “all of which are themselves targetable and highly relevant for prostate cancer,” may offer promising treatments for metastatic prostate cancer. The researchers also suggested testing out different combinations of therapy in their mouse model.